A 311 call yesterday morning about a crack on an east-facing exterior wall brought city inspectors to the long-empty P.S. 64 (aka CHARAS/El Bohio) at 350 E. 10th St. between Avenue B and Avenue C. Several nearby buildings were evacuated as a precaution before the city gave the all clear. However, according to the DOB website, the city issued a violation to owner Gregg Singer for failure to maintain the exterior facade for cracks observed on the corner of the building ... plus: "loose decorative stone and cracks throughout building." The embattled developer told Curbed: "It’s all political. This is part of a concerted effort to put pressure on us. I was just at the building. There’s definitely cracks — that we were already aware of — that will be pointed and repaired, but there’s no immediate danger." Speaking of politics, a group of residents and local elected officials, including Sen. Brad Hoylman, Assembly member Harvey Epstein, Manhattan Borough President Gale Brewer and City Council District 2 member Carlina Rivera, will gather this morning at 10:30 outside the school on 10th Street to ask the city to take action on the property. Following [yesterday] morning’s emergency evacuation of two residential buildings adjacent to CHARAS/El Bohio, Councilwoman Carlina Rivera, Manhattan Borough President Gale Brewer, elected officials, community leaders, and neighbors will gather ... to call on Mayor Bill de Blasio to immediately take action in light of these new, potential structural and safety concerns. CHARAS/El Bohio, also known as the old P.S. 64, was auctioned off by Mayor Rudy Giuliani 20  years ago and has remained vacant ever since. 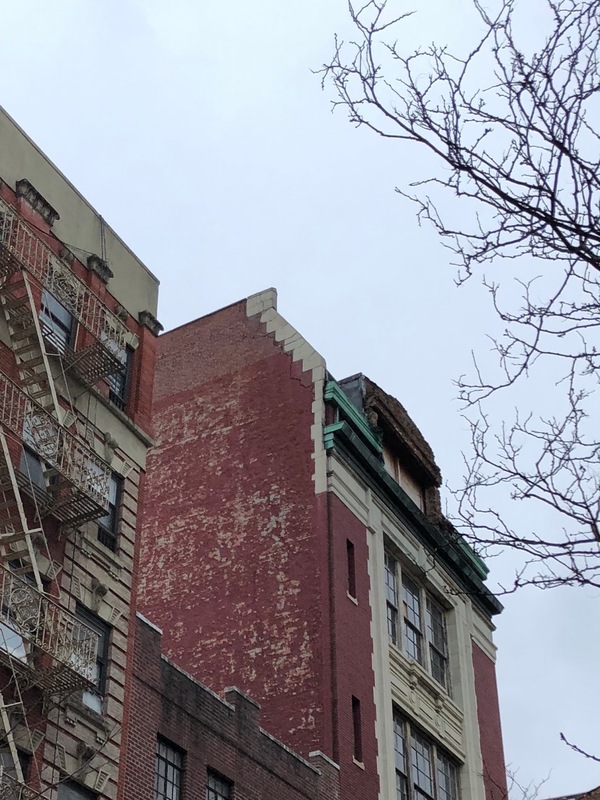 Singer, the purchaser and current owner has not adequately maintained this landmark building, allowing it to deteriorate to its current condition. At a Council District 2 Town Hall in 2017, Mayor de Blasio announced that his administration would take steps to re-acquire this building. No substantive updates have been provided on this issue since then. Hey, Greg, you dont just repoint cracks. Cracks appearing indicate underlying structural problems that were never taken care of. Will you just move on already and get out of the sitting-on-the building-until-the cows-come home business. This is all empty theater. There is no calvary coming. People have needed to get real about this for years. DeBlasio just announced he is looking to cut close to $1billon from the budget by April. There will be no eminent domain, there will be no magic wand that transfers property rights. We are stuck with Singer until either he gets some underlying zoning approval and flips the building for a tidy profit or he is somehow brought to the table in a ULURP process and maybe a little bit of lemonade in the form of a useful community facility can be squeezed from this lemon. The empty sloganeering by elected officials and "activists" that has plagued this very real problem for years is a excellent commentary on the emptiness of our present politics. The EV lost its chance when the building went to auction years ago and could have been acquired for a song.